As predicted, the price of hard drives has soared a staggering 180 percent, in some cases, due to widespread, long-term flooding in Thailand. According to computer engineer Marc Bevand, who has observed the soaring price tags, 1TB drives have experienced the most notable jump. The literal breaking point, writes Bevand on his blog, Zorinaq, came after the flood waters seeped into the Bang Pa-In Industrial Park, the Navanakorn Industrial Park and the Bangkadi Industrial Park. These three industrial parks, located in Pathum Thani province near Bangkok, house all the manufacturing facilities in Thailand for both Western Digital and Toshiba. And, according to Bevand, “all of them have been rendered inoperable,” something Western Digital had feared would happen. 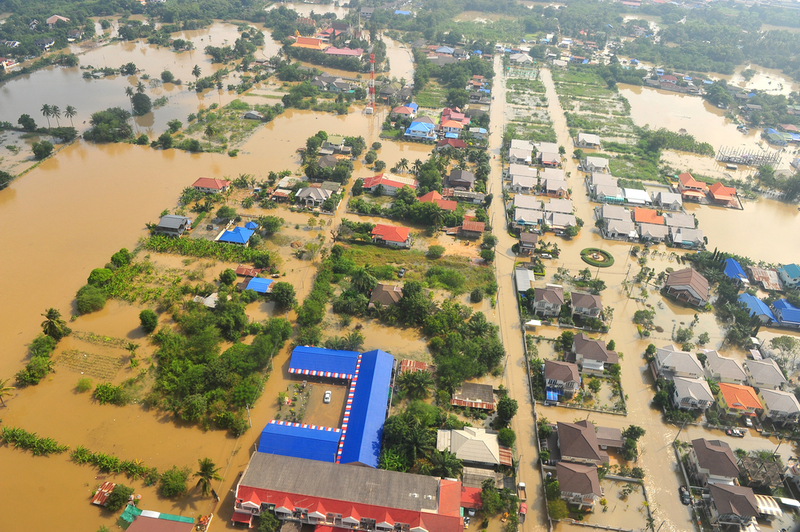 The tenacious floodwaters engulfing Thailand are the worst the country has seen in 50 years. So far, more than 1,000 factories across the country have had to shut down due to the water. The flood waters, which have displaced more than 120,000 people, are not expected to recede until mid-December, and disruptions to the world’s hard drive production could last well into next year.